Today's online ecosystem can be summed up in one word: overwhelming. With new social media platforms popping up all the time and new technologies disrupting even the most "reliable" marketing strategies, business and nonprofit leaders and marketers are faced with the challenge of getting ahead in an environment that makes it seem impossible to keep up. Momentum will not only demystify the marketing landscape, but also show you how to spot opportunities to grow your organization and brand more easily and with more consistent results than you may have thought possible. 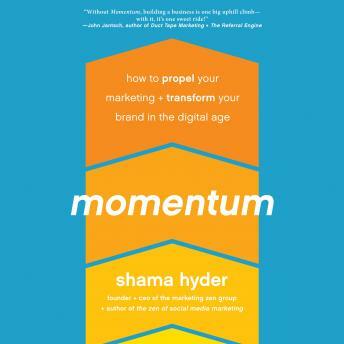 Whether you're a young business or an established company, Momentum will teach you how to thrive.